Canadian born artist, Jonathan Chan began playing violin and piano at the age of 4. It did not take long for him to begin performing and by the age of 8, he had made his first appearance with an orchestra. Since then, Jonathan has given concerts in Europe, China, South Africa and across North America. Jonathan began his violin studies with Lawrie Hill before moving on to Professor Taras Gabora at the Vancouver Academy of Music. He also studied piano with Lorraine Ambrose until his graduation from Saint George's School, a prestigious and renowned private high school that held the highest academic rating in Canada. Upon graduation, Chan was awarded the Arts Bowl in recognition of his outstanding contribution to visual and performing arts. Throughout his young life, Jonathan has garnered numerous awards in violin, piano, and chamber music. He is a three time National First Grand Prize winner of the Canadian Music Competition with overall highest marks, and has also received second place once on piano. On two separate occasions, the country has recognized Jonathan by asking him to perform for the former Prime Minister, Jean Chretien. When Monsieur Chretien retired, Chan was privileged and fortunate to be invited to share the stage at the Air Canada Center with other renowned artists like Oliver Jones, Paul Anka, and the late legendary pianist, Oscar Peterson. He has also collaborated and performed with many distinguished artists including Andor Toth, Scott St. John, Alisa Weilerstein, and members of the Borromeo String Quartet, Nicholas Kitchen and Yeesun Kim. Since 2008, Jonathan has been studying in London, England at The Guildhall School of Music and Drama under the tutelage of Caroline Palmer, on the piano, and Professor David Takeno, on the violin. Unknown at the time of his arrival, he has since performed in the Barbican Hall, Wigmore Hall, City of London Festival, and was invited by the Lord Mayor of London to perform at Trafalgar Square in celebration of St George's Day. Jonathan aims to keep both instruments at the performance level and the school has awarded him a scholarship for his undergrad studies via the Max Jaffa Violin Fund. In addition to this, Chan was the 2010 recipient of the Sylva Gelber Music Foundation Award; an award given to the most gifted musician below the age of 30 in Canada. Born in Seoul, Korea, Ms. Lee won a full scholarship to pursue postgraduate studies at the Guildhall School of Music and Drama where she gained her Master's degree with Distinction and was awarded MMP (Guildhall Artist). 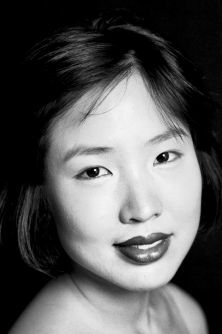 She has succeeded in winning numerous prizes such as the Henderson Prize at the 8th Scottish International Piano Competition; the McCullum Prize at the Royal Overseas League Music Competition in London; Myra Hess Award (MBF Awards); 2010 Academie Internationale de Musique Maurice Ravel Prize; First Prize in the Eastbourne Symphony Orchestra Concerto Competition; Making Music Awards; and 2009 English Union Scholarship. She has given solo recitals throughout UK and abroad, in venues such as the Southbank Centre, Barbican, Birmingham Town Hall and LSO St. Luke's. She has appeared at the Yamaha Piano Concert Series in London, 2013 Illuminating Britten Event at the Barbican Centre, Winchester Festival, Ribble Valley International Piano Festival, LSO Discovery Afternoon Series, Stromstad Summer Music Festival (Sweden), Jeunesses Musicales Internationale in Spain and many more. Jennifer has worked in masterclasses with Stephen Kovacevich, Emanuel Ax, Arie Vardi, Pascal Roge, John Perry, Bernard d'Ascoli and Dominique Merlet. Her major teachers include Martin Roscoe, Diedre Irons, Joan Havill and Thomas Hecht. She has received generous sponsorships from MB Adams Scholarship, Sheldon Awards, Tayler Wessing Company, Musicians Benevolent Funds and Creative New Zealand.